The bus terminal is about 4km north of the city centre so you will a taxi or a bus. A taxi costs between RM10 - RM15 (unfortunately, as it is common in Malaysia, Taxi driver refuse to use the meter). 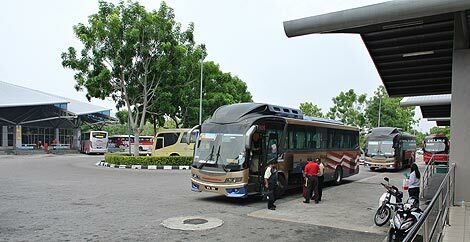 Other than bus #17, you can take any bus this going to Mahkota Parade from the domestic terminal of Melaka Sentral (just beside intercity terminal). 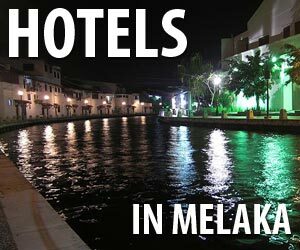 The Panorama Melaka ubs is a Hop-on Hop-off bus that runs on 2 lines (blue and red) to places of interest in Melaka. The blue line stops at Melaka Sentral. The ticket is RM2. Note that the ticket for single-decker bus of the blue line is only valid for the blue line, while the ticket for double-decker bus of th red line (RM2) can be used for both lines. 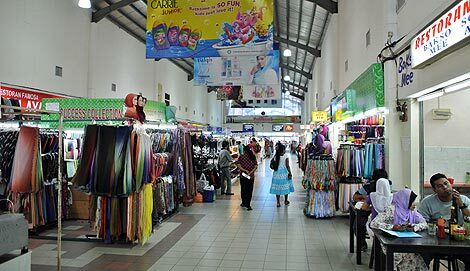 Just next to the bus terminal is Baazar Melaka Sentral (on the satellite map the orange building on the right), a big indoor wet market and shopping complex which is worth a visit while you are there. 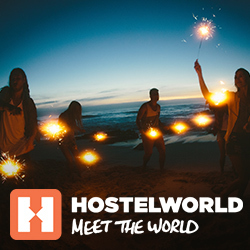 It is open 24h every day.